Author: Shekhdar, Jim Set In . . . 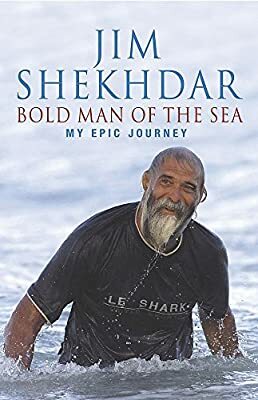 Description: During an action-packed 274 days at sea, Jim Shekhdar became the first person to row across the Pacific Ocean single-handedly. This is the story of his epic journey. The journey started out badly, he was refused permission to set off from Chile, then when he set off from Peru he found he'd left the tin opener behind. Later Jim also ran out of cooking gas. More bad fortune was to beset Jim as he had to fend off sharks, have his telecommunications fail him and nearly lose his life to an oil tanker. And then 150 yards out from his journey's end, Jim had to refuse offers of help so as not to invalidate his record attempt.